A special issue of the journal Journalism Practice on lifestyle journalism – guest-edited by myself – has just been published. Lifestyle journalism is a field that has received relatively little attention in the past, which was why I had wanted to inspire journalism studies scholars to engage with it more deeply. Scholars from all over the world contributed abstracts on a wide variety of topics in response to the call for papers, and I was pleasantly surprised by the high number of submissions. The special issue itself publishes eight articles on topics such as travel, music, fashion, health, personal technology, food. In addition, my introductory article attempts to define the field and outline trends and challenges for the study of lifestyle journalism. This introduction to the special issue outlines the case for an increased focus on studying lifestyle journalism, an area of journalism which, despite its rapid rise over recent decades, has not received much attention from scholars in journalism studies. Criticised for being antithetical to public interest and watchdog notions of journalism, lifestyle journalism is still ridiculed by some as being unworthy of being associated with the term journalism. 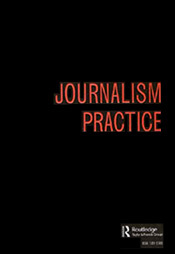 However, in outlining the field’s development and a critique of definitions of journalism, this paper argues that there are a number of good reasons for broadening the focus. In fact, lifestyle journalism—here defined as a distinct journalistic field that primarily addresses its audiences as consumers, providing them with factual information and advice, often in entertaining ways, about goods and services they can use in their daily lives—has much to offer for scholarly inquiry and is of increasing relevance for society. To access the full article, and the other contributions in the special issue, click here.